Winter is coming….. (sorry couldn’t resist a little Game of Thrones ref!!) Unfortunately it is also true & means that many of us will be spending more time driving in poorer light conditions & unfavourable weather, adding to our stress levels and putting us more at risk of accidents. While driving is still a pleasure for some people it is almost certainly an obligation for others, with a recent survey showing that a staggering 85% of people experience glare symptoms when driving & 31% of respondents reporting that they avoided night driving altogether. Many circumstances when motorists feel uncertain have to do with vision problems: dazzle, darkness, poor weather conditions, confusing or unclear spatial situations. If they sound like they could be up your street, then pop in & chat to one of our fabulous dispensing opticians about Zeiss Drivesafe, Hoya EnRoute, Rodenstock Road or Essilor RoadPilot lenses. 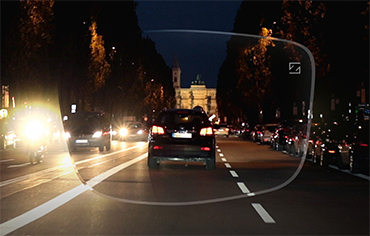 Don’t forget all of these lenses give you great clarity out of your vehicle too & there are single vision & varifocal options available. It goes without saying that it is also vital to make sure you have regular eye examinations, at least every two years & keep your driving spectacles in good, clean condition. Plus always make sure your windscreen, mirrors & headlights are spotless too! PS if we’re lucky enough to get some sunshine over the next few months then don’t forget to keep your polarised sunspecs close at hand to combat the wet roads / low sun combo glare. If you haven’t already invested in a pair then it’s a great time to take advantage of one of our multi-pair offers – you’re welcome!